I’ve always loved the iconic crocodile boots from Yves Saint Laurent circa 1963. 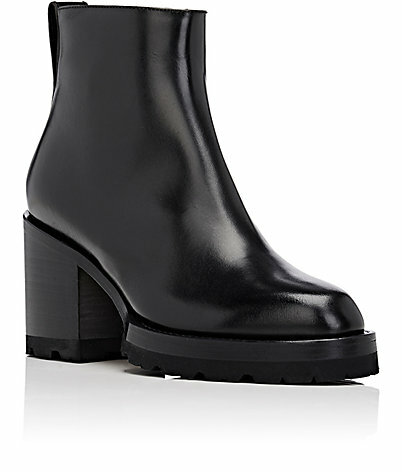 The shape, decadent material and just right heel look timelessly cool. I love that a woman could walk, run or kick Avengers style if she had to in them. 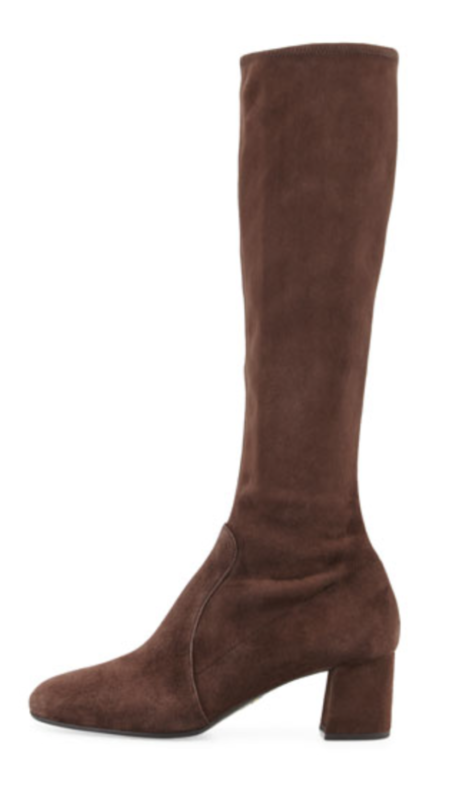 A comfortable boot specifically for walking is probably my most crucial fall purchase and the most difficult to find. I prefer a low heel somewhere between 2 and 3.5 inches and here in lies the problem. 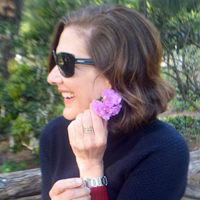 You can find flat boots or 4 inch and above heeled boots but that middle ground is usually scarce. This year fortunately is bucking that trend. Maybe it’s the whiff of feminism in the air with our first ever woman presidential candidate and a collective desire to unshackle ourselves from the tiny prisons we strap onto our feet. Don’t get me wrong; I love a stiletto or platform as much as the next lady but increasingly I have a low tolerance for them during daylight hours when I actually have to be productive and mobile. Just look at Theresa May the new PM of Great Britain, she knows the score, one simply cannot run a country if ones mobility is seriously compromised. 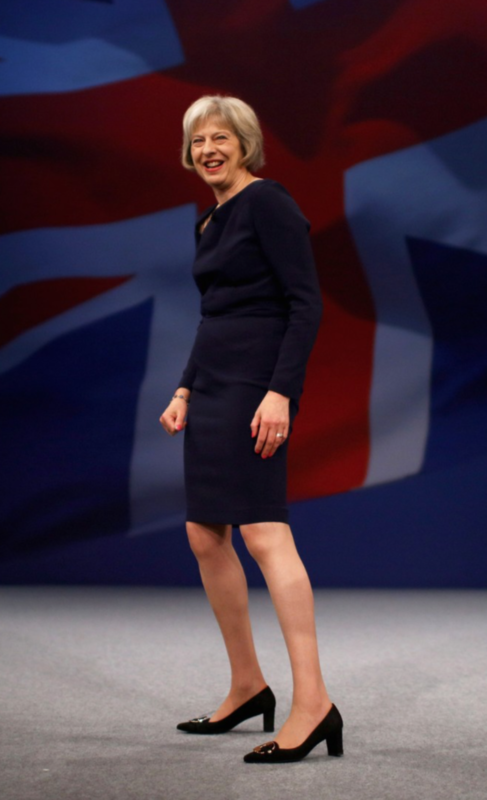 Theresa May British PM sporting a sensible and stylish pump. You go girl! I’m happy to report my preliminary search for said walking boot has been fruitful. 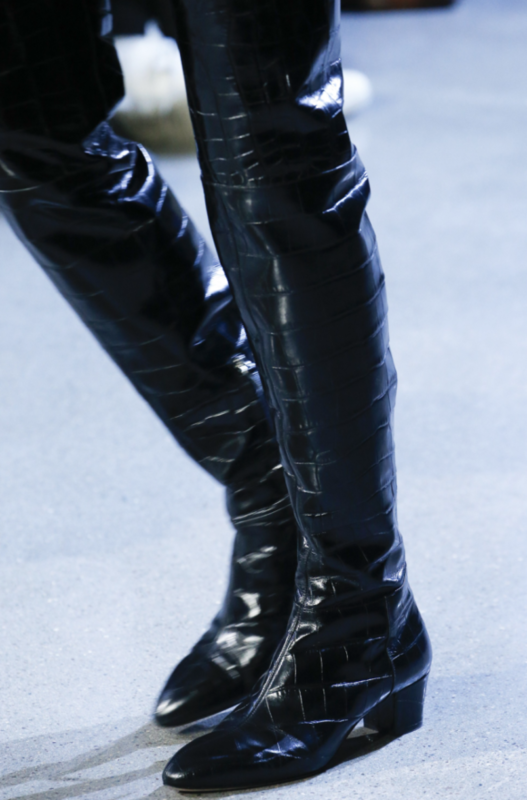 Joseph Altuzarra had the good sense to include his own version of the YSL boot in croc embossed leather. His to the knee version is available at Bergdorf Goodman. 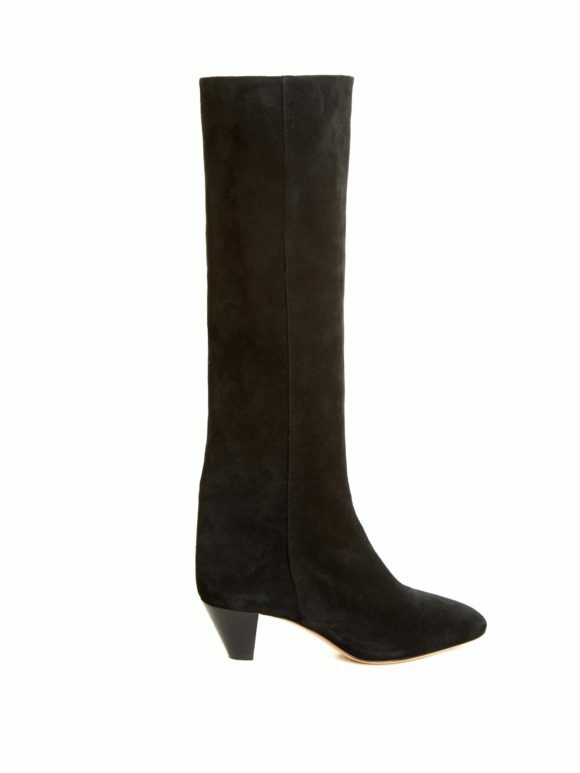 Side note; because I’m seeing so many over the knee boots for fall, unless you’re blessed with model length legs with a circumference no greater than your average salami, approach with caution. Whether ankle or to the knee boot I see myself running around town unconstrained come fall. To that end I’ve gathered potential examples of what I’m looking for. 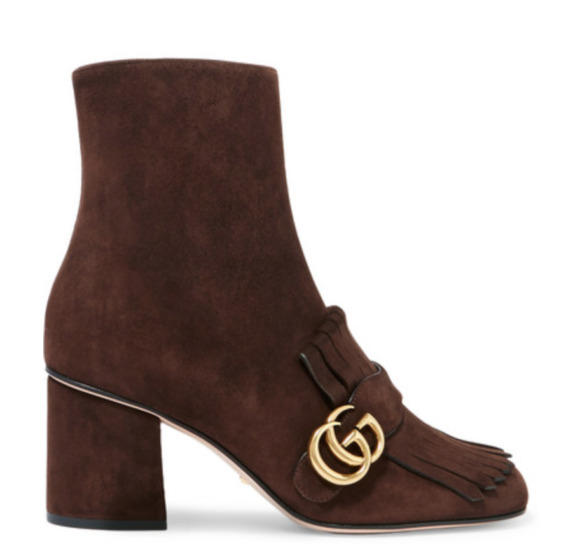 Though practicality is driving this train, I want as much style as the YSL boot offers. 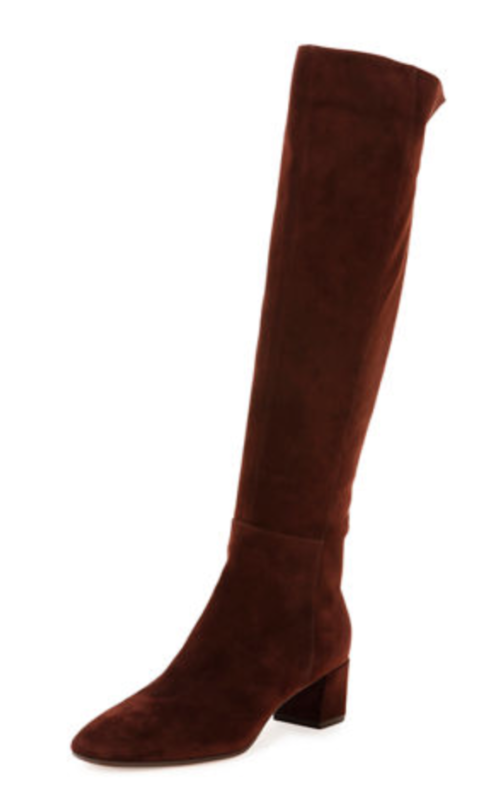 For the moment let’s stick with knee-high boots. 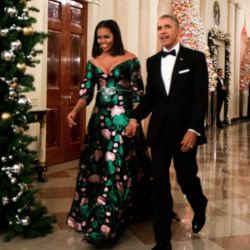 They open up a whole lot of wardrobe options. 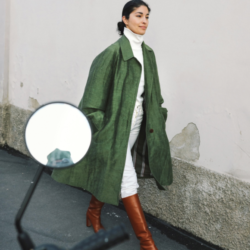 For example you can get that groovy 70’s vibe thing happening with your knee-high boots paired with the ubiquitous midi length dress or skirt. The no nonsense chunk heel of the following picks clearly state I’m an independent woman with things to do and people to meet. 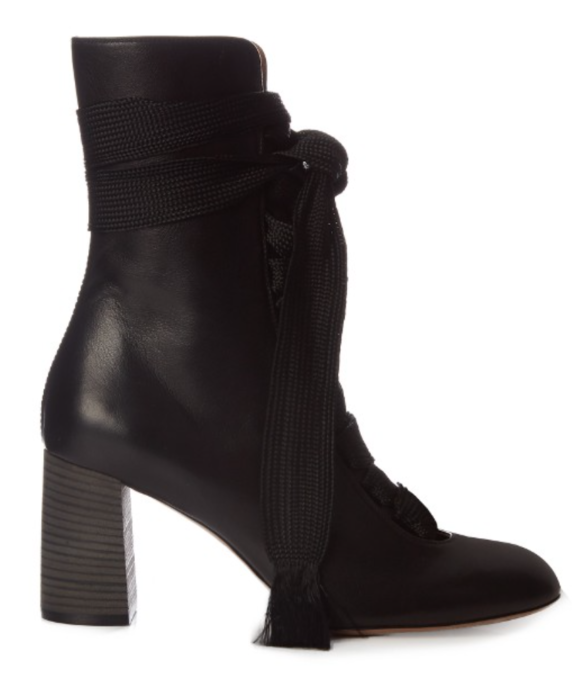 Isabel Marant’s conical heeled suede boot has clean lines and you could no doubt walk to hell and back in them. 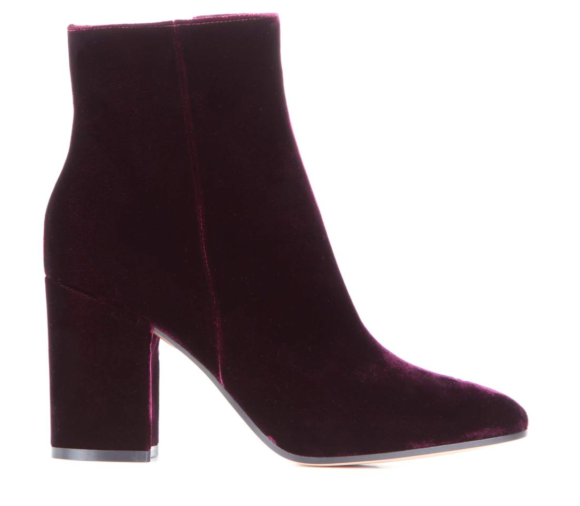 A solid, comfortable and stylish ankle boot is indispensable come fall. Here some options I would live in. They are as practical as they are of the moment. Come on ladies free your feet and rule the world!